“When it comes to wedding photography, there’s a whole lot of average, and it’s easy to make the wrong choice. With Paul we very quickly realised that his work was head and shoulders above anything we’d seen before. We drooled over his portfolio and hoped that we’d get something even half as good as the other weddings! We weren’t disappointed at all – the shots we got back were insanely good!! Paul himself felt like we’d met up with an old friend, he has a great sense of humour and made us feel like we were stars, directing enough to get the perfect photo whilst not saying too much! He exudes a rare passion for his work, getting excited about different photo opportunities and running around looking for spots of light and new moments! “From the moment we first had contact with Paul we knew he would be perfect photographer for our big day. We had researched his work online and after seeing his Instagram and website pictures, we completely fell in love with his natural style of photography and ability to capture the beauty in a moment. On the day of our wedding, he even showed up earlier than planned so that he could snap some getting ready photos which turned out to be some of our favourite pictures from the day! Its hard to put in to words how blown away we were by his work on our big day. There were so many incredible and special moments that he managed to capture so perfectly, and so naturally, which is just what we were looking for. “Don’t hesitate – choose Paul as your photographer! We had the honour of Paul at our wedding and he is incredible. From the beautiful engagement shoot at the beach to the 200 person church and tent wedding, Paul had a challenge with all the venues and people but he did it with complete chilledness and style. “If you are looking for a wedding photographer then look no further than Paul! He was absolutely brilliant from start to finish. Professional, efficient, friendly and, most importantly, took the most fabulous photographs of our wedding, in challenging weather conditions (!) getting soaking wet in the process. 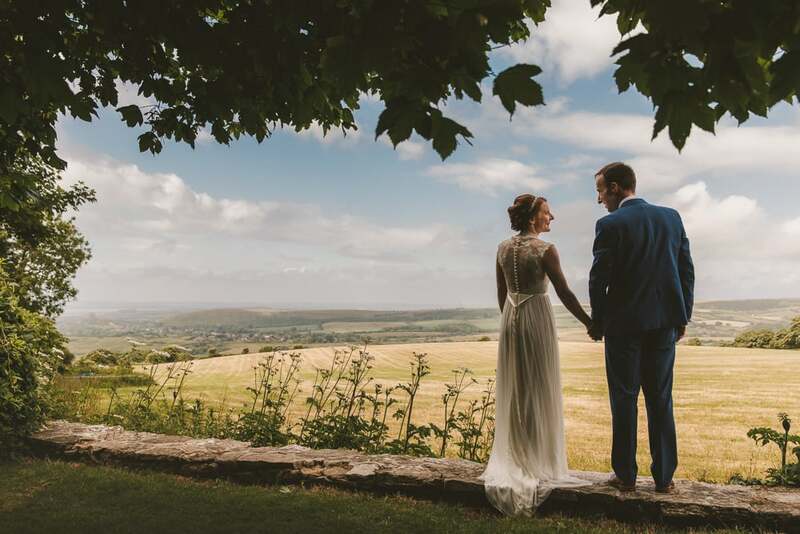 “After searching tirelessly for a wedding photographer we finally found what we were looking for in Paul Underhill. His work stood out by a mile and I knew instantly that we had to hire him! All our memories from the wedding day have been captured perfectly from start to finish. Pauls unique use of light and gorgeous tones make our wedding look like a beautifully shot movie in which all our guests feature as glamorous Hollywood stars. 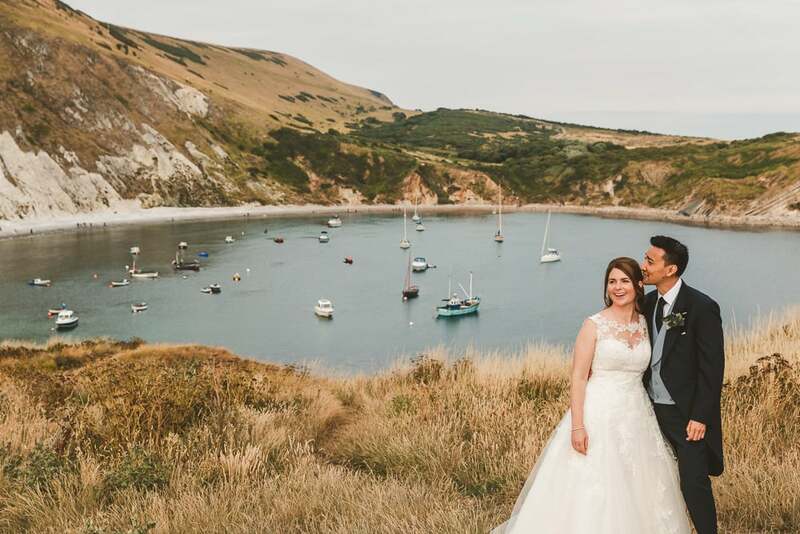 We felt that Paul really made the effort to get to know us and ensured that the photos of our wedding reflected our personalities which offered a really nice personal touch. Paul is a great guy to have as part of your special day and is clearly so passionate about what he does. His friendly disposition, seemingly infinite supply of energy and undeniable sense of fun allowed us to completely relax in his company and be our true selves in front of the lens. “Firstly, leading up to our wedding communication was efficient and prompt. It might seem like an insignificant thing but when you’re working with multiple suppliers having quick sensible answers to questions is very helpful. During the wedding, well what can I say. Paul was energetic, confident and a welcome relief from the hustle and bustle of the day itself. He had no issue pulling us to one side to get shots when he could see light conditions were at their best. We both really enjoyed his company and it was a pleasure to have him around. We know many of our guests felt the same way. We’ve just received our photos and firstly we’ve got a huge amount which is brilliant, but also the quality of them is stunning. Paul is an excellent photographer and artist and we are lucky to have the memories that he has captured. We probably had around 7 or 8 suppliers for our wedding and without question Paul is the one which stands out as providing the best service and giving us the best experience. 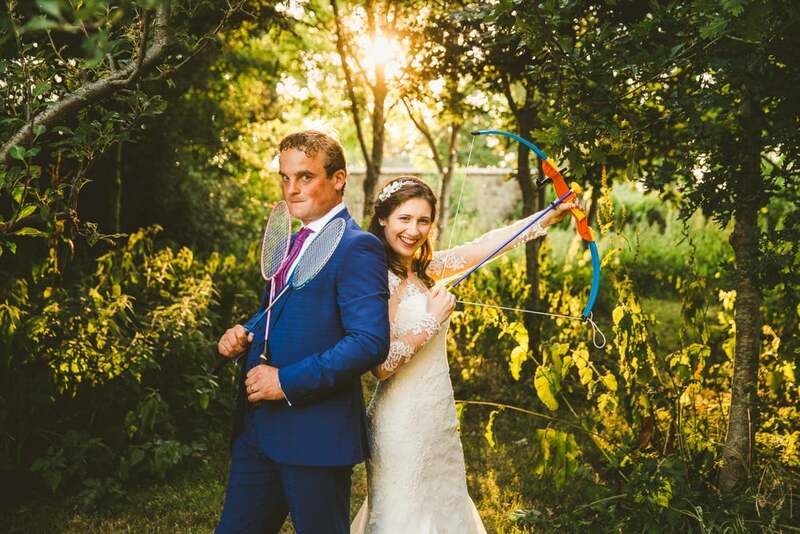 “We are over the moon with our wedding photographs, you are a magician! The whole day is documented and captured perfectly, you have given us memories we will treasure forever. 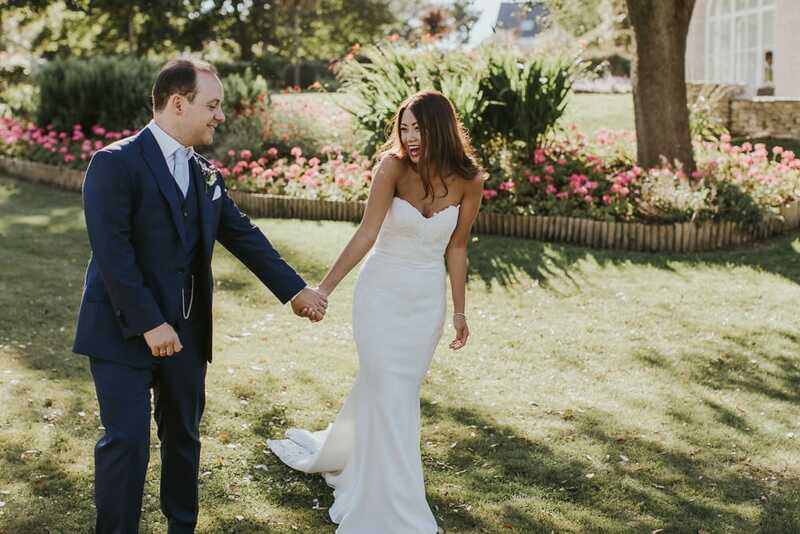 Thank you so much for making our wedding day perfect and stress free, from the moment you arrived you were calm and professional and just went ahead quietly blending into to the background like a friend, snapping away and making us feel relaxed and enabling natural moments to be photographed. We were both really worried about posing for photos and being awkward, but you made us feel the complete opposite. We absolutely love the photos on the beach especially with Weymouth Bay in the background and the photos look like a magazine shoot for a Weymouth Holiday! We can not thank you enough for capturing our day so perfectly, we could not stop smiling all day and had a perfect wedding and your skills and amazing talent have allowed us to keep on smiling and reliving the day every time we look at the photos. “We knew when we met Paul at the pre-wedding test shoot that he was going to be just what we wanted on our wedding day. Paul immediately put us at ease. His manner, humour and energy brought out the best in us and into the photos. Paul truly knows how to capture the moment, incorporating the light and landscape to create a once in a lifetime moment. He blended in with the guests and they all took a shine to him. All our guests commented on how hard he was working on the day. “We were so pleased with Paul’s work on our wedding photographs. Not only are the pictures beautiful, but they really capture the spirit of the day. 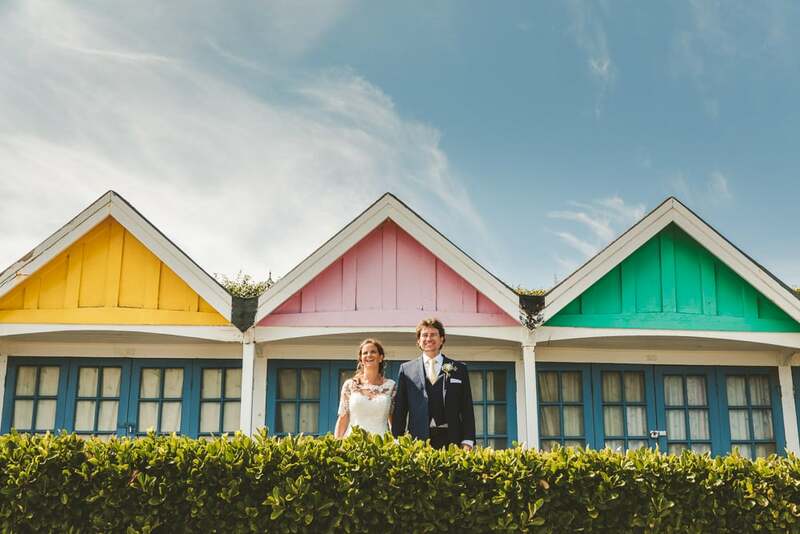 “Paul photographed our wedding in Sandbanks in July. My wife and I were delighted with how Paul not only perfectly captured our day but also managed to connect with us as a couple. “Paul was one of the best decisions we made with regards to our wedding. His photographs were wonderful and really captured the feel of the wedding. I felt like I was just laughing the entire day, and looking back at the photographs I really was! “Paul was my first choice photographer from the moment I came across his website. I love the way he captured the special moments on our wedding day. “We couldn’t rate Paul higher enough. Not only is he a really friendly guy but also an incredibly talented photographer. We booked Paul for our wedding in Dorset and also had a pre wedding shoot with him. “Paul is an incredible photographer and we could not have chosen a better photographer to document our wedding day. He made us feel at ease so we could just be ourselves through the day. Photos turned out stunning and we are so grateful! Also helps he is so helpful and lovely with every request! 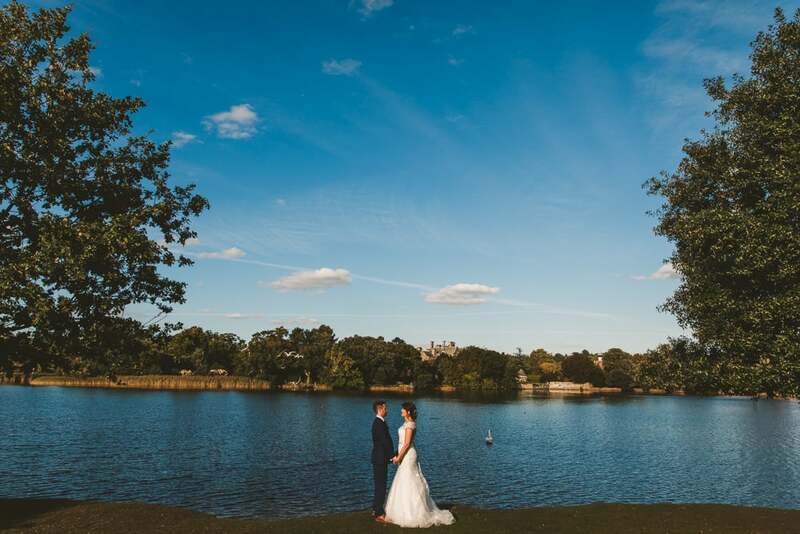 “Paul has such an amazing talent for capturing ‘moments’ which is exactly what you want on your wedding day. It’s not the formal photos that remind you how great your day was – it’s the natural fun and excitement that is so important to be documented. Paul’s ability not to miss a moment is incredible, and his energy and passion comes across in the photos. “Paul was an unbelievable photographer. From the moment we met for our gorgeous engagement shoot he made us feel relaxed and natural, it was like walking along the beach with a friend. He was very clear in all his correspondence before the wedding and arrived early on the day and was really careful about giving us all space without missing any important moments. My mother in law was worried about us being taken away for a long time during our private shoot, but Paul subtly grabbed us at different times throughout the day and no one noticed we were gone & we had the benefit of having lovely couple photographs in different light as it changed. “Hi Paul, I just wanted to drop you a line to say a huge thank you to you for the beautiful wedding photos. You have created some stunning shots that take us back to the day each time we look at them. You’ve captured all the emotions, laughter and love perfectly. They have also been amazing to show family and friends that couldn’t make our day and all of them have said they feel like they were there after viewing them. “If you are looking for a photographer to capture the true essence and feeling of your wedding day, then look no further. We cannot rate Paul any higher; he is extremely professional yet somehow manages to mingle in so well with your guests that he becomes one of them – so discrete! “Being within the creative industry ourselves, we knew what style of photography we wanted for our wedding and came across Paul’s portfolio. His reportage photography, fantastic eye for composition along with his modern post-production style and skills were exactly what we were after. We met Paul over a cup of coffee and very quickly realised that his friendly, approachable personality along with his enthusiasm and passion for his work shone out amongst the crowd, and we had every faith that he would be perfect for our day. Paul was a pleasure to work with, we had lots of fun, he made us feel relaxed and comfortable in front of the camera and he was discreet whilst also being authoritative when he needed to be. We loved his calm nature and on the day he blended amongst our guests effortlessly. “Too many wedding photographers have a cookie cutter approach to capturing a wedding with portfolios where its hard to tell one wedding for the next. 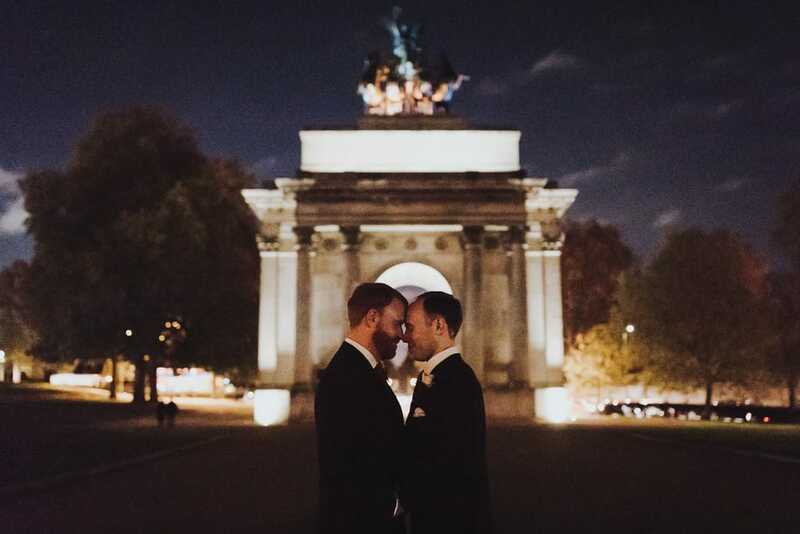 But we didn¹t want to feel like we were on the sort of photoshoot that we have to organise as part of our jobs as PR and advertising managers, and we wanted someone who could roll with the unconventional elements of a gay wedding. “It is so hard to find a photographer that can excel in poor lighting conditions. The drizzling, the winter sky of England was far from optimal, and the lighting in the restaurant was really dim. We appreciated your journalistic style of photography, it is so hard to get it right when there are 2 guys, you do not want to overcook the cheese. Thank god that did not happen. you have managed to strike a delicate balance. “Paul was our wedding photographer last month and hiring him was without a doubt one of the best decisions we made. We met him a couple of weeks before the big day for a test shoot which really helped to relax us on the day itself and get us used to being photographed. His style was non-intrusive which allowed him to capture some superb photos of both of us and all our guests. We couldn’t fault him, and will recommend him to anyone looking for a photographer in the future. 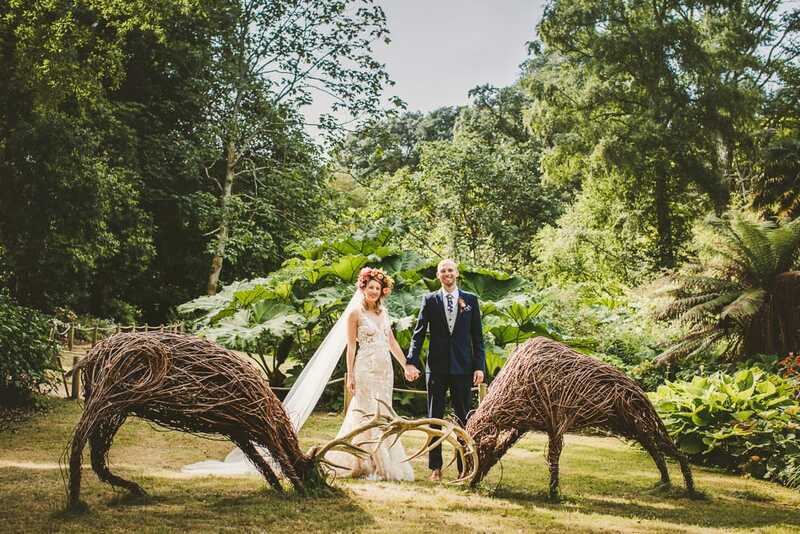 “Paul was the photographer for our wedding at Highcliffe Castle in August. The photos speak for themselves – they’re absolutely perfect! Paul has a great eye for shots and managed to catch all the emotion, excitement and joy of the day. We couldn’t be happier to have had him as our photographer for what was the most happy day of our lives. “Paul is a fantastic photographer, but he is even more skilled at making you feel comfortable and in control when in his company. I first met Paul when my (now) wife took an interest in his work on-line, he had come recommend from a friend. We met at a mutual location and discussed our vision for the wedding. Paul was very understanding, but also drilled down into detail we hadn’t thought of which made sure he had all the information he needed. This was followed by a “pre wedding” shoot. We were apprehensive at first, after the first five minutes this feeling disappeared and was replaced with fun and laughter. “We looked through a LOT of wedding photographers before we chose Paul – and are so thankful we made the right choice! We were instantly attracted to the natural look of his photography, and how everyone in his photos looked good. We also loved the non-posed, documentary style, where everyone just looks happy and natural – and also the classic, special feel that he achieves as well. We absolutely love our photos, and having had 3 weddings in one day our only issue is we have so many amazing shots to choose from for our album! They capture the joy and excitement from our day perfectly. “When we found Paul online we knew we’d found “the one”. He not only takes gorgeous photos, but he has a unique way of catching special moments between people and our wedding photos were no exception. We loved how he captured the beauty of the wedding location and appreciated all of the little moments captured between us and our guests that are now in photo form. His friendly demeanour made him feel like he was one of our guests and it put us both at ease in front of the camera. 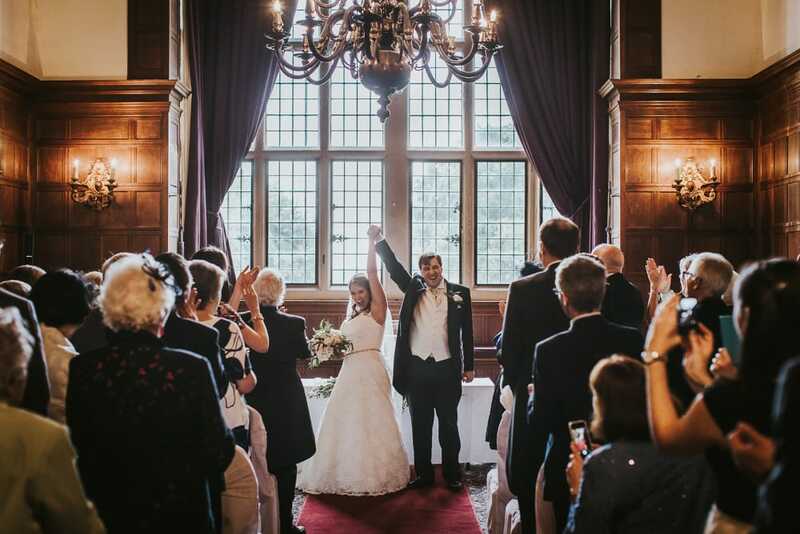 “Paul was our wedding photographer and produced an ace set of photos to capture our day. Thank you Paul! We have had many comments from friends, family and even strangers (!) complimenting the photos and Paul’s style. He was discreet and blended in well during the day to capture every moment, but when needed was on hand to help herd guests for the group shots. 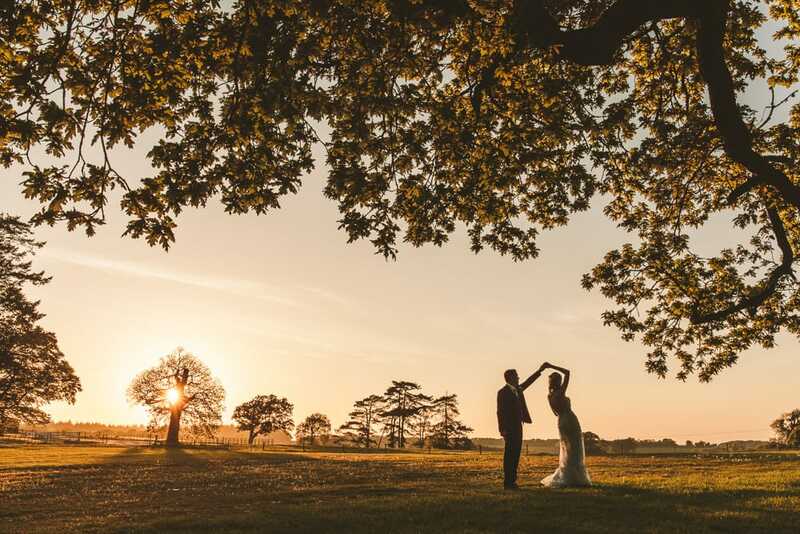 “At our first meeting with Paul we knew we wanted him to be our photographer for our wedding day. He made us feel at ease and was a good giggle. The pre wedding shoot was great fun and gave us time to get to know Paul before he turned up on the big day. All our friends and family were very impressed with the blog of these and couldn’t wait to be photographed themselves on the big day! On the day Paul was fantastic. He chatted and mingled with everyone and recorded our day beautifully. His pictures truly captured the mood, atmosphere and emotion of the day. 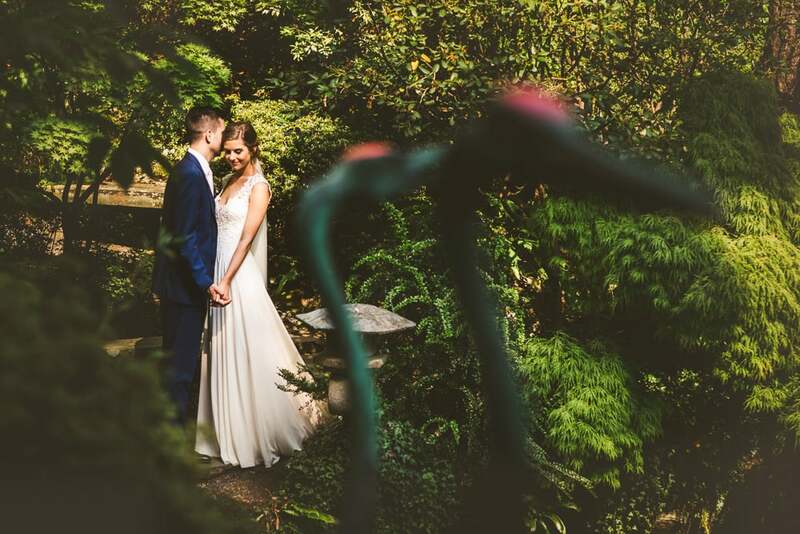 “Paul is an extremely talented and committed photographer, he was the perfect choice for our wedding late last year. 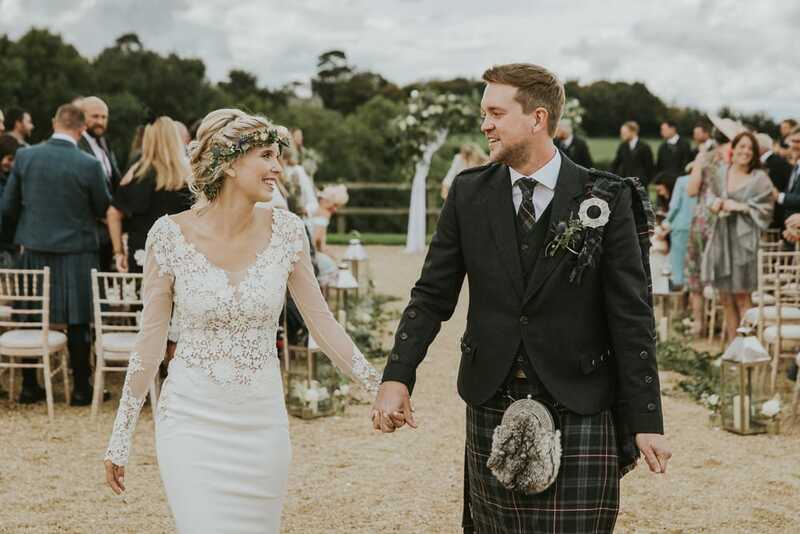 His passion for photography is abundant and he took a genuine interest in our history as a couple, taking the time to get to know us and explore our personalities, so that he could capture the best possible images. He was attentive and enthusiastic on both our pre-wedding shoot and on the wedding day, resulting in our stunning photos that incorporated his detailed and modern style, which we couldn’t be more thrilled with. His gift captured the raw emotions of the day from tears through to roaring laughter. “We really umm’d and aaah’d about whether to pay for a professional photographer, because we were on a pretty tight budget, and we have friends with good cameras. After chatting to Paul, and hearing more about his approach, we decided to take the plunge, and we’re definitely glad we did. “Paul is a fantastic photographer! He captured the energy and fun and laughter of our wedding day, seeing the photos we re-lived the day and saw so much that we had missed, it was amazing. Right from our first meeting Paul made us feel completely comfortable and showed genuine interest in our ideas and plans for the big day. The pre-wedding photo shoot was the perfect way for us to get comfortable with the camera, laugh a lot and work out what worked best for us.